The Central Selection Board of Constable, Bihar is going to conduct a recruitment event for the post of constable in Bihar Police, Special India Reserve Battalion, Bihar Industrial Security Battalion, Bihar Military Police and Fireman in Bihar Fire Services. Bihar police job aspirants need to apply online @ www.csbcbponline.com. Online application form will be live from May 28th, 2018. Before going to fill & submit online application, interested candidates are requested to know few important things such as date of release of official notification, eligibility conditions, availability of application form, process, fee & mode of payment, selection process, examination pattern & syllabus, admit card, result etc. On May 25th 2018, the Central Selection Board of Constable, Bihar has released an advertisement/notification to conduct a recruitment event for selection of constables in Bihar Police & Fireman in Bihar Fire Services. To read/download it now, click here. As per advertisement, total 11,865 vacancies of constable and fireman shall be filled through this recruitment event. Out of which, 9900 vacancies will be for constable post and rest 1965 vacancies will be for fireman in Bihar Fire Service. Note:- For district, division & department wise number of vacancies, read Annexure A, given in official notification. All the interested candidates must know about minimum eligible conditions needed to apply for either constable or fireman post. An applicant’s age will be considered as on January 1st, 2018 as mentioned in his/her class 10th certificate. Candidates who want to apply for any post available under Bihar police recruitment 2018 should have passed intermediate (10+2) or its equivalent examination from a recognized board. Candidates belonging to OBC, BC & general (unreserved) categories should have to pay a fee of Rs. 450/- as their online application fee. But candidates belonging to SC/ST categories need to pay only Rs. 112/-. All the candidates can pay their application fee online by using either a credit/debit card or net banking facility. Along with online application fee, candidates also need to pay applicable bank charges. 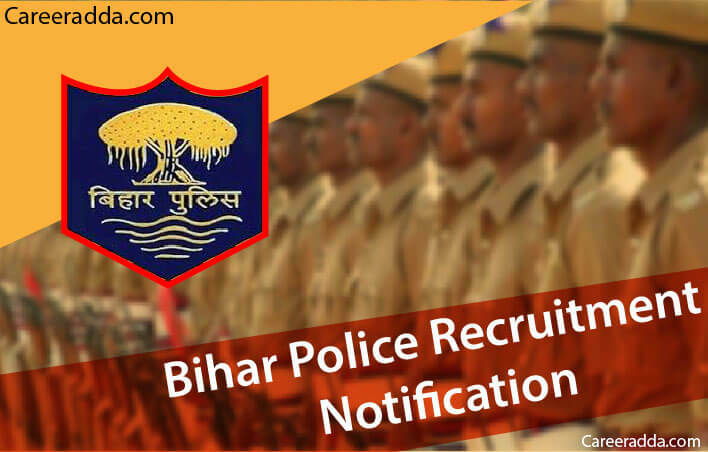 To apply for Bihar police recruitment 2018, candidates need to attempt an online application @ website www.csbcbponline.com. Before attempting online application, candidates are advised to read important instructions to apply online available on the same website to ensure their eligibility. At the same time, you will also receive a text message having registration no. and password on your provided mobile no. English- Comprehension, Various registers of English, Grammatical items and structures, translation, free composition etc. Mathematics- Trigonometry, Sets & Functions, Co-ordinate geometry, Algebra, Calculus, Mathematical Reasoning, Statistics & Probability etc. History- Pre-history, Proto-history & History, The Pre-historic world, Ancient Civilizations, Medieval Order, Vehicles of modernization, Modernization affirmed, Spread of Modernization, Ills of Modernity, Three Ideologies & their mutual conflicts, Sanity Vs Motivated politics, Further changes / post-modernization, the revolt of 1857, Visions of the new state etc. Geography- Fundamentals of Physical Geography, Economic Geography, Man and Environment, Main Crops of the World, Major Industries of the World, Fundamentals of Human Geography, Transport, communication & Trade, Physical aspects & drainage systems, Transport, communication & International Trade, Natural Hazards and managements etc. Political Science- Concept of politics, State, Theories of the Origin of State, Sovereignty, Key Concepts, Union Executives, Parliament, State Executive, State legislature, Indian Judiciary, Electoral Systems in India, Working of local self government with special reference to Bihar, National Integration and challenges, Foreign Policy of India etc. Physics- Physical World & Measurement, Kinematics, Laws of Motion, Work, Energy & Power, Motion of System of Particles & Rigid Body, Gravitation, Properties of Bulk Matter, Heat & Thermodynamics, Behaviour of Perfect Gas & Kinetic Theory of Gases, Oscillations & Waves, Electrostatics etc. Chemistry- Structure of Atom, Some basic concepts of Chemistry, Hydrogen, Thermodynamics, States of Matter: Gases & Liquids, Hydrocarbons, Environmental Chemistry etc. Note- To qualify written test, candidates should have to score at least 30% marks. Candidates qualified in written test will be called for physical efficiency test. It will be of total 100 marks including events such as running, shot put and long jump. PET requirements are explained in official notification. The Central Selection Board of Constable, Bihar will issue online admit cards for eligible candidates. To get admit card, candidates should have to login into their account by using their registration no. & date of birth as password. It is expected that results will be announced after few days from the date of written test. Final results shall be declared after PET. We wish you Best of Luck for Bihar Police Recruitment 2018.